A lively Israeli song for a springtime harvest festival, Hag Shavuot celebrates the holiday Shavuot, which is observed seven weeks after Passover. Traditional dance steps are okay for risers. 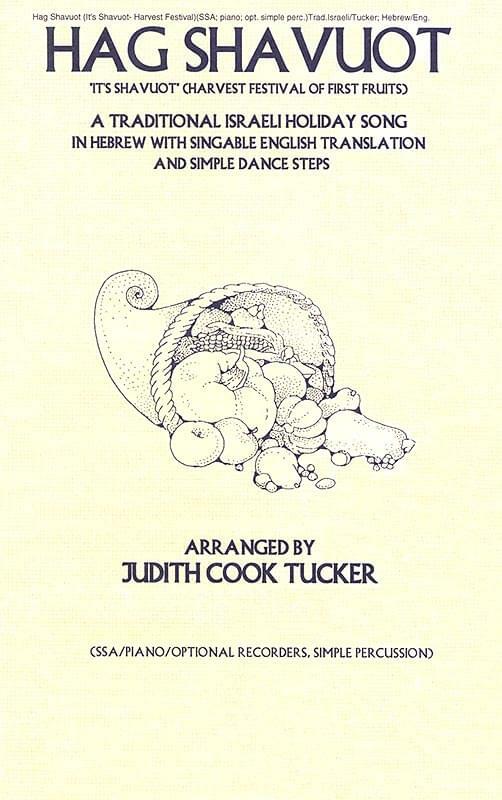 Transliterated Hebrew/singable English translation; piano, traditional percussion; Unison/SSA/SAB; Grades 3+; arranged by Judith Cook Tucker.